<p class="canvas-atom canvas-text Mb(1.0em) Mb(0)–sm Mt(0.8em)–sm" type="text" content="A Texas woman allegedly assaulted her common-law husband after he remained silent when she asked him if she was pretty, according to Laredo police.&nbsp;The Laredo Morning Times reported that Lizeth Guadalupe Ramirez, 20, was arrested late Tuesday after the alleged incident occurred.” data-reactid=”22″>A Texas woman allegedly assaulted her common-law husband after he remained silent when she asked him if she was pretty, according to Laredo police. 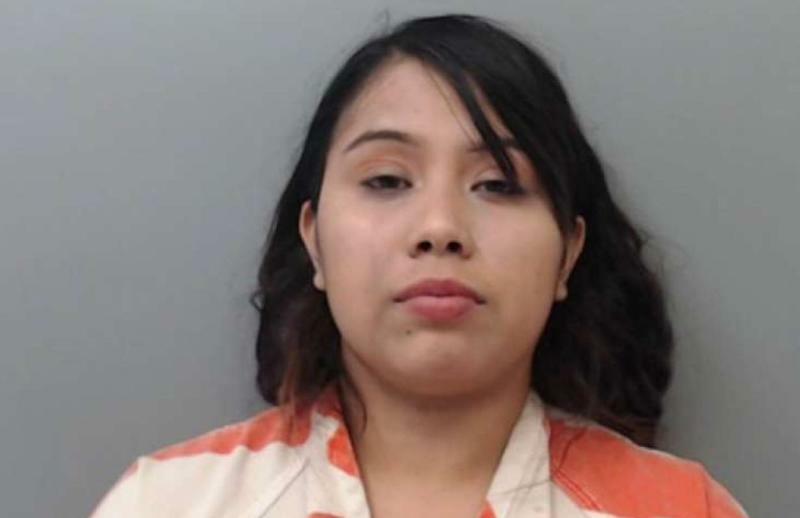 The Laredo Morning Times reported that Lizeth Guadalupe Ramirez, 20, was arrested late Tuesday after the alleged incident occurred. Ramirez told investigators that her husband had assaulted her and attempted to strangle her. However, her husband told authorities a different story, claiming to be the victim in the situation. Ramirez’s husband told police that he was at the movie theater with Ramirez when she asked him if she looked pretty. He reportedly did not hear the question and, therefore, did not answer, which upset Ramirez. The miscommunication and resulting anger caused the couple to leave the theater. <p class="canvas-atom canvas-text Mb(1.0em) Mb(0)–sm Mt(0.8em)–sm" type="text" content="Ramirez's husband claimed that during the ride home, Ramirez started to allegedly hit him repeatedly, The Laredo Morning Times reported. When they arrived home, she continued to hit him and also assaulted a family member who attempted to intervene.” data-reactid=”25″>Ramirez’s husband claimed that during the ride home, Ramirez started to allegedly hit him repeatedly, The Laredo Morning Times reported. When they arrived home, she continued to hit him and also assaulted a family member who attempted to intervene. <p class="canvas-atom canvas-text Mb(1.0em) Mb(0)–sm Mt(0.8em)–sm" type="text" content="According to Webb County jail records, Ramirez was charged with two counts of assault causing bodily injury and family violence.” data-reactid=”26″>According to Webb County jail records, Ramirez was charged with two counts of assault causing bodily injury and family violence. <p class="canvas-atom canvas-text Mb(1.0em) Mb(0)–sm Mt(0.8em)–sm" type="text" content="In Texas,&nbsp;assault causing bodily injury – family violence&nbsp;is considered a Class A misdemeanor and could be&nbsp;punishable&nbsp;up to one year in jail and/or a fine up to $4,000.” data-reactid=”27″>In Texas, assault causing bodily injury – family violence is considered a Class A misdemeanor and could be punishable up to one year in jail and/or a fine up to $4,000. The Webb County Sheriff’s Office did not immediately respond to Yahoo Lifestyle’s request for comment. <p class="canvas-atom canvas-text Mb(1.0em) Mb(0)–sm Mt(0.8em)–sm" type="text" content="Follow us on Instagram, Facebook, and Twitter for nonstop inspiration delivered fresh to your feed, every day.” data-reactid=”34″>Follow us on Instagram, Facebook, and Twitter for nonstop inspiration delivered fresh to your feed, every day.